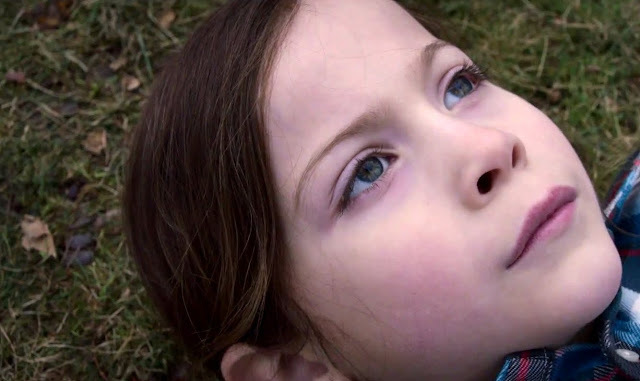 Room is a movie filled with wickedness, fear and evil, unspeakable and beastial savagery it is impossible to comprehend. Yet Lenny Abrahamson's latest feature is not, by any stretch, a horror film. It is, in fact, the opposite of that. Room is a film of hope and awe, love and wonder. This is a movie of grace and light. In many ways Room is a contradictory piece of cinema. 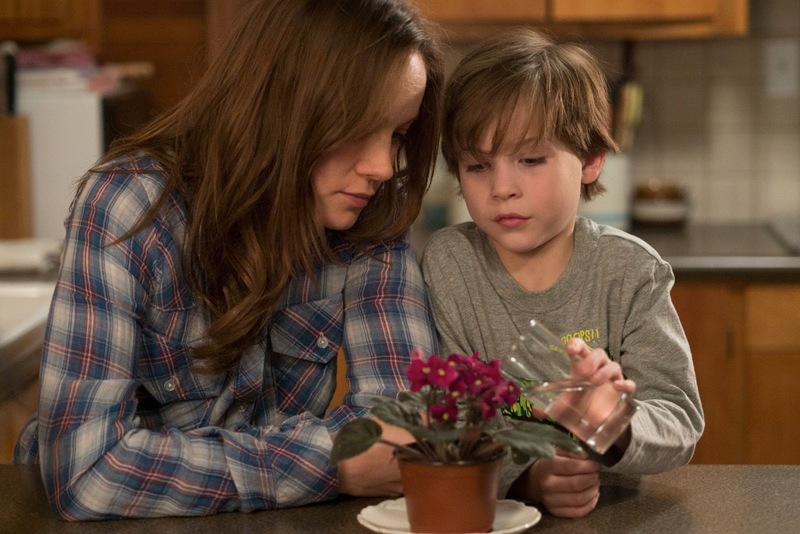 Set largely in one cramped, claustrophobic location we meet five-year old Jack Newsome (Jacob Tremblay) and his "ma" Joy (Brie Larson) who are held captive against their will in a squalid shed. Despite the oppressive and cramped confines of their home, we witness something miraculous which transcends their limited space - we witness the infinite nature of a mother's love for her child. In a life of suffering and hardship, torture inflicted upon her every day by kidnapper "Nick" (Sean Bridgers), Joy does all she can to make her son's life palatable, disguising to him the fact they both exist in a living hell. Patiently she deals with his tantrums, they play games together and she even attempts to bake a cake from the limited goods at her disposal. In return, Jack gives her a reason to not simply give up on life. Together, they are strong. Jack's life changes forever when "ma" shares with him secrets he could have never truly understood before. Outside of their home - or "room" as they have come to know it - there is a whole world full of leaves and trees, mice and dogs, seasons and light. Jack is overwhelmed by what Joy has done; she has given him the gift of dreams. An opportunity to escape presents itself but, having known nothing else, what will Jack make of the real world? Having been sheltered his whole life, how will Jack understand crowds and noise, the hustle of modern living? How does one begin to comprehend sounds and smells, the presence of other people, the ability to be free when these things have simply never existed before? 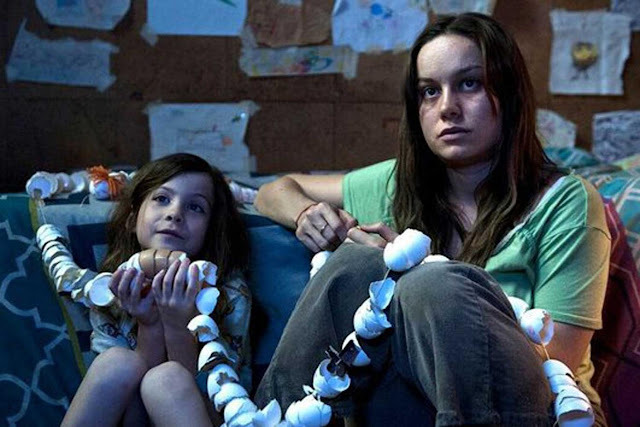 Room is not a film which is simply watched. This is a movie that is absorbed. Abrahmson's stunning direction and a prodigious performance by Tremblay re-introduce us to the regular, astonishing world we see every day but rarely take the time to feel. As Room's images flicker on-screen, our pores are opened, our throat clasps tight - knots fasten and undo themselves repeatedly in our stomach and our souls. Imagine, for example, having never been able to pick up or examine a leaf before - the textures, the colours and the patterns are intricate and almost unknowable. To those not jaded by everyday splendour, it must feel like an entire universe contained in the palm of one's hand. Room is full of such moments of gleeful discovery; we are transported back to a time in our youth when life was one big adventure and everything was new, exciting and, on occasion, terrifying. Much like the modern masterpieces Under the Skin and Tree of Life, Room acts as an antithesis of much of contemporary, escapist cinema. Whereas Star Wars, Marvel and most blockbusters ask us to blast-off with them and leave this recognisable world behind us during their movies' running times, this trio of sublime films do the opposite - they invite us to re-examine how we live and inhale the beauty around us. If we're lucky, we'll regonise something as humbling as a the imprint of a leaf, the languid melody of clouds, the over-powering glee that comes with meeting a dog for the first time or, perhaps, the immeasurable nature of a mother's love. From what could have been an exploitative premise we are presented with a pure experience of over-whelming joy. Abrahamson, like the characters in his film, has found the magic in a world often filled with darkness - by shining a light into the shadows, he, and they, have defeated them. This is a film of heightened sensations which show us what it is to be human, what it is to ache, how it feels to float weightlessly in awe. This is not a film about being trapped, but about being set free and all the messy, wonderful, upsetting, liberating fallout that comes with that too. We've all been young and curious before - here, Abrahamson allows us to relive that.